TESTED WORKING / GOOD IN AMPLIFIER. PRICE IS FOR ONE PEICE. WHITE OR YELLOW PRINT. Die Kelche werden einfach auf den Nab aufgesetzt und mit 3 kleinen Schrauben geklemmt. ( ALU SPULEN BESTANDTEIL NICHT AM AKTION ). Kein bohren erforderlich. Aluminiumkelche NAB Adapter / silber. 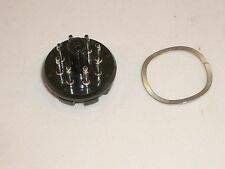 1Paar Nab Adapter. 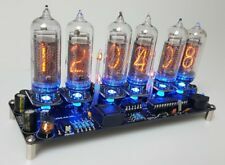 Nixie Clock Kit. 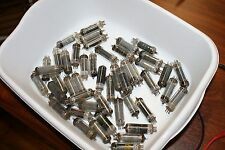 QTC takes a new path for Nixie Clocks for mid-sized solder-in tubes. Whilst this was certainly possible, It was never easy, and made it uncomfortable to give a Nixe Clock as a gift in case a tube ever failed. 2 CCa E88CC 6922 CV2492 Mullard tube valve 1972. You are buying 2 gold pinned CV2492 or E88CC military valve or tube made by Mullard at their British Mitcham London factory. Valves are type 7L1 with pepper pot getter and where made 2nd week January 1972 and accepted by MOD in Jan 1972 by military markings date coding 7201. Pioneer RG 2 - YouTube. Paste link into a browser window:[isdntekvideo]. Video will open in a new window. 6550/KT88 GT FENDER SOVTEK RUSSIAN. Test 100% New with no Gas or Shorts. Wenn sie haben ORIGINAL- AKAI-SONY-TEAC nab adapter ?. dann dieses kelche passt nicht ! Das Kelche passt alle maschine nur mit revox nab adapter ! Die Kelche werden einfach auf den Nab aufgesetzt und mit 3 kleinen Schrauben geklemmt. Pioneer, Revox, Akai, Technics und alle anderen Bandmaschine. Pioneer, Revox, Akai, Technics and all other tape machines. Nab adapter für tonband geräte. Nab adapter for tape devices. Aluminum Hub or complete set (NAB & Hub ) you will find my other actions ! Klebeband Splicing Tape. 1 Rolle 25m. The tubes are approx. 4”h x 2”w. The readout area is approx. 3.5”h x 1.75”w. Tubes will be carefully boxed with lots of padding. Great way to get that retro sci-fi look! EABC80 TESLA. NEW UNUSED AND BOXED. COPPIA valvole ECC83 JJ-Electronic (12AX7). Matched by: dBevolution. Il prezzo è riferito ad una COPPIA di valvole. Dieser Trafo kann z.B. für 12- bis 15-Watt PP-Endstufen mit 2x EL84 oder 2x 6V6 verwendet werden. Optimale Höhe zum Einbau in 1 HE Gehäuse. 230 V - Sec. 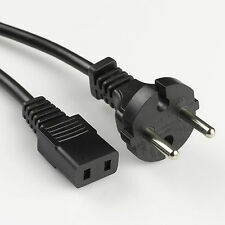 250V@0,13A 6,3V@4A. (Die Farbe des Teilvergusses kann variieren). (Bandmaterial:LPR90 mit einem Vorspannband am Anfang und einem Trennband am Ende. Die gesamte Spieldauer beträgt ca. 7-10 min. lange Reihe von –10dB NF/HF-Signalen, abwechselnd im 1 Sek.-Takt. oder NAB-Entzerrung, welches Bandflusslevel in nWb/m?). You'll notice how inconsistent the faces look. that's because they leave the machine finish as there final finish. THEY PAINT THERE INDICATOR LINES WE STAMP AND BLACKEN OURS! My Uncleworked As Chief Electrical Engineer At Avery Fisher’s Long Island City, Queens,NY Plant. 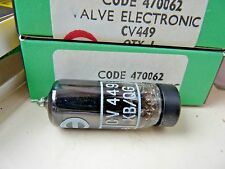 Valvola ECC83 JJ-Electronic (12AX7). Il prezzo è riferito ad una valvola. Acquista da noi. TUBE UPGRADE FOR NOBSOUND 6J9 TUBES. E180F MULLARD. MATCHED PAIR (2 TUBES). Neuauflage von JJ Electronic, nach dem Vorbild der legendären englischen GEC KT77. die KT77 ist eine "kinkless tetrode" mit besonderem Klangcharakter, der von einer echten Pentode abweicht. the KT77 JJ Datasheet can be downloaded here. CV4058 M8080 6C4WA MULLARD MITCHUM. 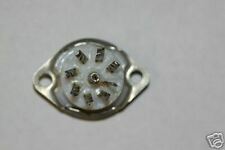 ELECTRONIC VALVE / TUBE. GENUINE ELECTRICALLY AND PHYSICALLY MATCHED PAIR. DATE SUPPLIED TO THE MOD THERE MAY BE SLIGHT VARIATIONS ON THE CODE EG: R3I2 DUE TO THE PRODUCTION WEEK. 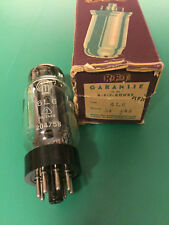 4 x 12ax7 Sylvania Tubes. Made in USA for Baldwin. Long Ribbed Grey plates. I do combine S&H when possible. Mutual Conductance = 1250. 1200/1600 range. REVOX A77 Motorkondensatoren, Entstörkondensatoren, Reparatursatz. 4 WIMA X2 Entstörkondensatoren 1 x 0,47 µF für die Platine 1.077.724 / 729 Drehzahlregelung. Die Flachstecker können problemlos verlötet werden. Nicht für UHER REPORT MONITOR ! (2 x für den Antrieb der Wippe, 1 x für das Zählwerk). 1 Belt kit forUHER Report 4000, 4200, 4400, UHER Report IC. Not for UHER REPORT MONITOR ! Round belts for best running properties and constant synchronization. CV2492 (ultra-premium military 6922) Ediswan (Brimar), Great Britain, gold pins. You are buying 2 gold pinned CV2492 or E88CC military valve or tube made by Brimar at their British Rochester factory - you can see this from the factory code AD. This tube has not been tested and is being sold as is. This tube belonged to my father who was an avid ham radio operator. 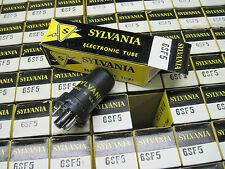 Check out the other tubes I have for sale. Steve Miller compilation. I played this tape fully on a friend's high speed machine and the sound was fantastic.Nice balance and punch. Su richiesta viene fornito un Video contenente tutte le fasi per l'assemblaggio. These are very precisely made idlers that work perfectly in the Sankyo drive systems. We need the OD X ID X Width/Thickness of the tire you want to replace. Applicable to the following models These are a perfect fit for the stated models, and we have sold 1000's worldwide. One has a white base and says U.S. Navy CRC 38837. One of them says VT-101 on it. These tubes have not been tested and are being sold as is. These tubes belonged to my father who was an avid ham radio operator. Sonst besteht die Gefahr, dass Sie die Bremsbänder oder Bremsbeläge verunreinigen und diese stark in der Wirkung nachlassen. für das Zählwerk der Revox A77, B77 und PR99 MK I. Bei den Bandmaschinen Revox A77 gibt es Zählwerke mit Zahnrädern!